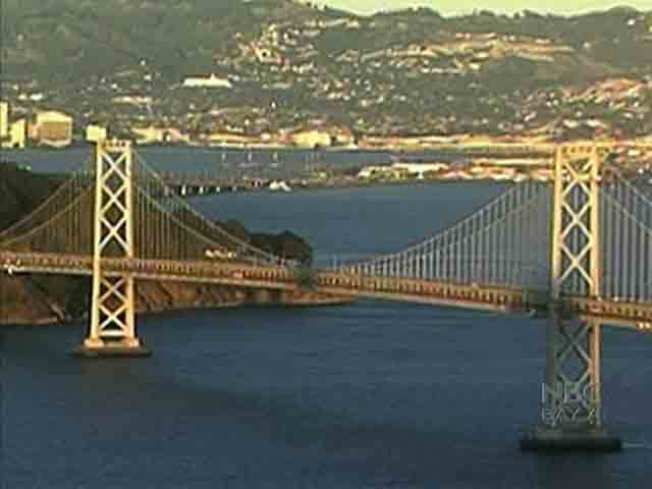 A driver was killed early Monday morning after losing control of a commercial truck and driving over the side of the San Francisco-Oakland Bay Bridge, according to the California Highway Patrol. At about 3:30 a.m. Monday, the driver was traveling westbound on Interstate Highway 80 at approximately 50 mph, and lost control of the vehicle at the bridge's S curve, CHP Sgt. Trent Cross said. The speed limit in the area is 40 mph. 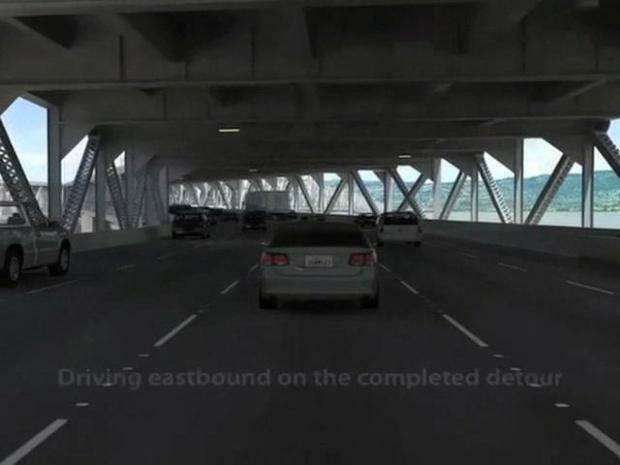 By 7 a.m. Caltrans engineers said that the bridge was structurally safe. 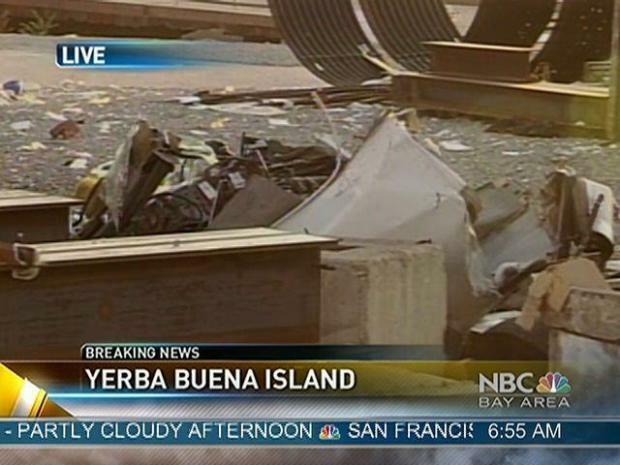 The truck went over the side of the bridge and dropped about 200 feet onto Yerba Buena Island. There was a mat that apparently fell out of the cab of the truck on its way down. That mat remained on a ledge just under the bridge. The driver suffered fatal injuries was pronounced dead at the scene, CHP Officer Ralph Caggiano said. The unidentified man was from Hayward, according to officials. Firefighters responded to reports of flames caused by the crash, but the fire was out by the time units arrived, according to the San Francisco Fire Department. The two right lanes of the bridge's S curve were closed on the westbound side for a time, but all lanes were reopened to traffic by 8:30 a.m. This is what it will be like to drive out of the city after Labor Day. This is the 43rd crash since a new S-curve was put into place on Labor Day weekend. The big rig driver was carrying pears and his load apparently shifted as he rounded that curve causing his truck to flip.